We also have the always undervalued Sauvignon Blanc Semillon from Sorrenberg in Beechworth. To drink a Sorrenberg is to enjoy a wine of great substance and structure and this 2018 is no different. For the money, this may be the best value white wine in the country! All wines below are available now at our special offer prices for the next 7 days only. To place your order simply click the links below or return the attached form, by email, by fax on 03 9419 6970 or call us on 03 9419 6990. The grandchild of the estate's founder, Helmut Dönnhoff, paved the way for international success by establishing an enduring quality and style in his wines. His vintages would, in fact, become a byword for renowned German Rieslings the world over. An enormous spectrum of fruit aromas, from peaches through grapefruit to wild strawberries and pineapple. However, that doesn't prepare you for the mind-blowing concentration and brilliance on the palate. Extremely filigree finish, in spite of the profound minerality. From organically grown grapes. Fair'n Green certification. Drink or hold. Limited production. Most people who drink wine know what a ripe peach tastes like. However, this wine gives you a completely new appreciation of the meaning of the word “peach”. Beyond that, it possesses subtlety that is extremely rare anywhere in the world of food and wine. From organically grown grapes. Fair'n Green certification. Absolutely delicious now, but could be held for decades. Philipp Wittmann was named Winemaker of the Year 2014 by the Gault Millau Wine Guide, with the judges praising him as "one of the pioneers of organic viticulture and a driving force behind quality developments" in the southern Rheinhessen. 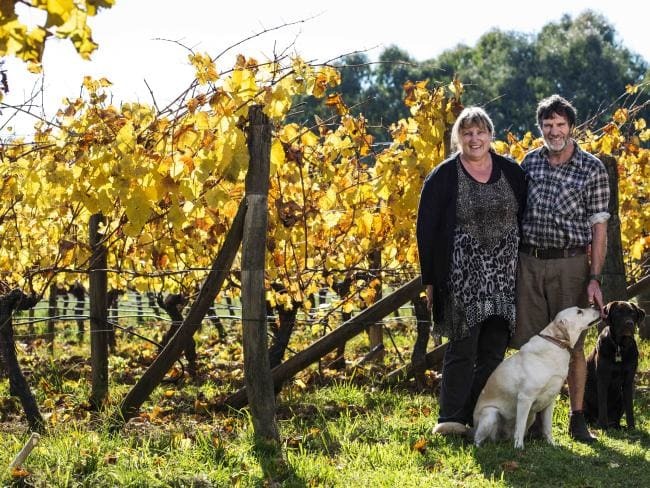 "For many years he has produced superb dry Rieslings with fascinating ageing potential," they went on. "Almost single-handedly he elevated the Morstein site to legendary status." Very complex, herbal nose, the fruity notes way in the background. Really concentrated but also super-elegant with a fine-grained texture that’s unlike any other Wittmann GG. Exceptionally long finish with intense chalky character. From biodynamically grown grapes. Respekt certified. Great aging potential. Drink or hold. Anything but a fruit bomb, this has gigantic herbal intensity on the nose, then literally breathtaking concentration on the palate and a finish of crystalline purity – words more often used to describe the much sleeker wines from the Mosel. From biodynamically grown grapes. Respekt certified. Gigantic aging potential, but you can certainly drink it now. Steffen Christmann is the current president of the VDP and his biodynamically produced wines are truly terroir-focused, clean and immense. A. Christmann’s history dates back to 1845 when Prof. Dr. Ludwig Häusser, professor of history at Heidelberg University and a member of the Vorparliament of the Pauluskirche together with his cousin Johann Martin, founded a small winery in Gimmeldingen as a hobby. During the next generation, winegrowing grew to become their main profession. In 1894 Eduard Christmann married Henriette Häusser, the granddaughter of the founder. Today the estate bears the name of her son Arnold, and Steffen runs it as seventh-generation custodian. 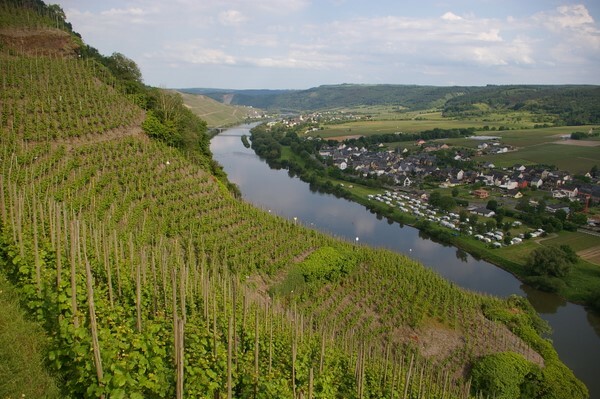 Welcome to the dry-riesling deep end. However, you'll need some patience, if you want to experience this greatness to the full. Descriptors like mirabelle and apricot only hint at what this gentle giant has to offer. Enormously long, hyper-mineral finish. From biodynamically grown grapes. Respekt certified. Better from 2019. While unfettered pleasure is the reflex response elicited by classic Mosel Riesling, the often overt power and disorienting range of Heymann-Löwenstein tends to be more thought-provoking. Reinhard Löwenstein views his craft as a creative interplay between climate, soil, vine and grower, culminating in wines that are singular, authentic and complex. A dramatic and complex dry Mosel Riesling even if it has done some malolactic fermentation (there's a hint of butter which ought to integrate with bottle age). Lots of green chilli aroma alongside the ripe fruit, then the spicy finish kicks in and leaves you in no doubt. Better from 2018 through 2035. This very concentrated wine makes you feel that you are floating on the clouds that hang in the Mosel Valley before and during the harvest. There's plenty of acidity in here, but you barely feel it directly, and once you sink into the depths of the finish it's difficult to climb out again. Drink now and for some decades to come. Dr Loosen has been in the same family for more than 200 years and its present guardian, Ernst Loosen, is one of the great characters of the wine world. He assumed ownership of the estate in 1988 and immediately realised that, with ungrafted vines averaging 60 years old in some of Germany's best-rated vineyards, he had the raw materials to create stunningly intense, world-class wines. To achieve this, Erni dramatically reduced his crop size and ceased using chemical fertilisers, preferring only moderate use of organic fertilisers. And, most importantly, he turned to gentler cellar practices that allow the wine to develop to its full potential with a minimum of handling and technological meddling. A very exciting 2016 Mosel GG that's still very young, but grabs you by the collar and won't let go. As the name suggests this is a real spice garden and the acidity carves a totally straight path through all these aromas before lifting off in the very long pure finish. Drink through 2040. Wilhelm Weil is always happy with the vintage he is presenting, but so far he never used a superlative like this one: "2017 is the best vintage I have produced here in 30 years." The 2017 Rheingau Riesling Trocken is very clear, fresh and even coolish on the nose. "We are incredibly happy with 2017," says Wilhelm Weil, who considers this estate Riesling as one of the best he has produced in the past 30 years. It is an incredibly lush but fine and singing 500,000 times (this is the number of bottles). Gorgeous and highly attractive—not just because of the price. The 2017 is Wilhelm Weil's 31st vintage, and he can be proud of it indeed. The 2017 Kiedricher Riesling Trocken is very clear, fine and fresh on the concentrated and well-defined nose. Sourced from younger vines from Erste and Grosse Lagen plus Wasseross, this is a highly elegant, finessed and mouth-filling Riesling with gorgeous balance and juicy fruit. This amazing Riesling needs to be enjoyed today and over the next 20 years. A Must Buy! Flinty, precise and fresh on the nose, with bright fruit aromas on the pure phyllite slate flavors, the dry 2017 Kiedrich Turmberg Riesling Trocken is piquant and fresh, very minor but in the background is gorgeously fresh juice. This dense and concentrated 2017 is full of vitality, piquancy, precision and tension. A young but highly promising Erste Lage that needs some years to age. The brilliant, citrus colored 2017 Kiedrich Gräfenberg Trocken GG is super clear, deep, fine and flinty on the pure nose, a real grand cru with flinty and even very fine oaky and mocha notes but most of all: Gräfenberg! Full-bodied, lush and highly elegant on the palate, this is a salty, piquant and tensioned Riesling with great finesse and intensity. Very salty and piquant in the finish, with just the perfect amount of residual sugar, this is a lush and generous Gräfenberg of great intensity, charm and lingering salinity. The 2018 Sauvignon Blanc/ Semillon shows a bouquet of mixed citrus with a touch of golden kiwifruit and subtle herbal characters. The palate is tight with minerality and a hint of grapefruit. These characters combine to produce a multi layered wine with excellent length and finesse. Cellaring potential 10 years . As happens on occasion at MW Wines we recently met a collector who simply had too much wine in his cellar (who knew there was such a thing). He was keen to free up some funds and when we saw the condition of the cellar and the quality of the wines we were more than happy to help find new homes for these beauties. 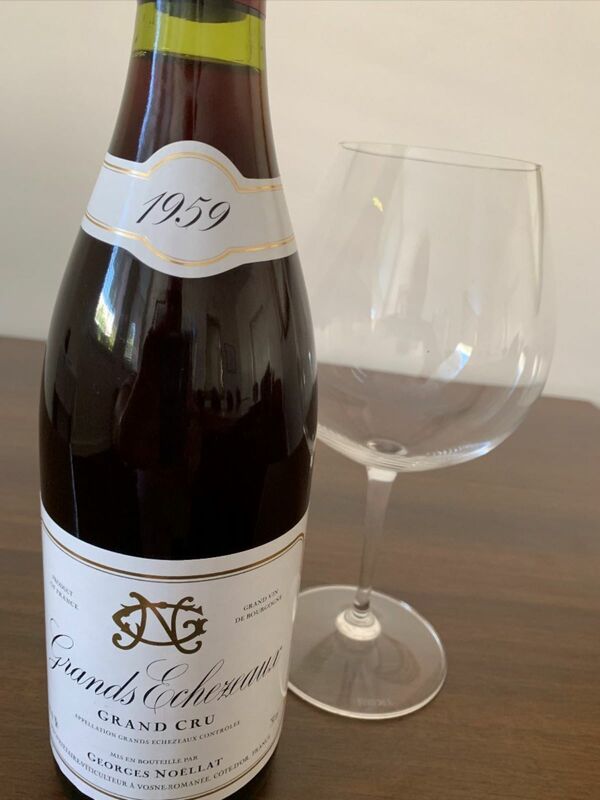 The cellar was predominantly Burgundy with producers featured such as Alain Hudelot-Noellat, Domaine Francois Lamarche, Domaine Bruno Clair, Domaine des Lambrays, Domaine Robert Chevillon,Hubert Lignier and included a pristine bottle of 1959 Georges Noellat Grands Echezeaux (pictured above). Click Here to head to our online store and explore the full range or Email us if you would like a full list of the new wines that have come in. These wines are available now at our special offer prices for the next 7 days only. To place your order simply click the links below or return the attached form, by email, by fax on 03 9419 6970 or by or calling us on 03 9419 6990.